This is one of the most important decisions you will face in your internet real estate marketing strategy, as the domain name you choose will play a significant role in defining customers’ first impression of your agency, and it will be associated with your firm for your years to come. Incorporating the name of your city or local area, as well as top real estate keywords will ensure your domain name has the greatest marketing impact. Your domain name should be easy to remember and easy to spell, so avoid commonly misspelled words and refrain from using acronyms, dots, dashes, numbers, or symbols. Above all, avoid the costly mistake of using your own name as it will only have relevance for customers who already know you. Creating a mobile-friendly real estate website and blog is easier that you might imagine when you use WordPress, a free software platform readily available online. WordPress-created websites offer invaluable benefits for real estate professionals: clean coded, smart real estate web designs that Google loves (boosting your search engine ranking), a seamlessly integrated blog platform that makes it easy to update your site with new, interesting content; and available plug-ins designed to help real estate sites convert visitors into clients. Your real estate website will need to have SEO (search engine optimization) applied in order to raise its search engine ranking but don’t worry; Yoast’s handy, free WordPress SEO plugin demystifies SEO services for real estate agents, making it easy for even net newcomers to produce well-optimized pages. Simply navigate to your site’s admin dashboard and search for ‘WordPress SEO’ to bring Yoast’s plug-in to the top result; click and install. Once the plugin installs, you just enter the asked-for information and Yoast optimizes your site’s pages and their contents; you can even use it to connect your real estate website with your social network profiles. Targeted forms are necessary to generate real estate leads which are, after all, the ultimate purpose of your real estate website. 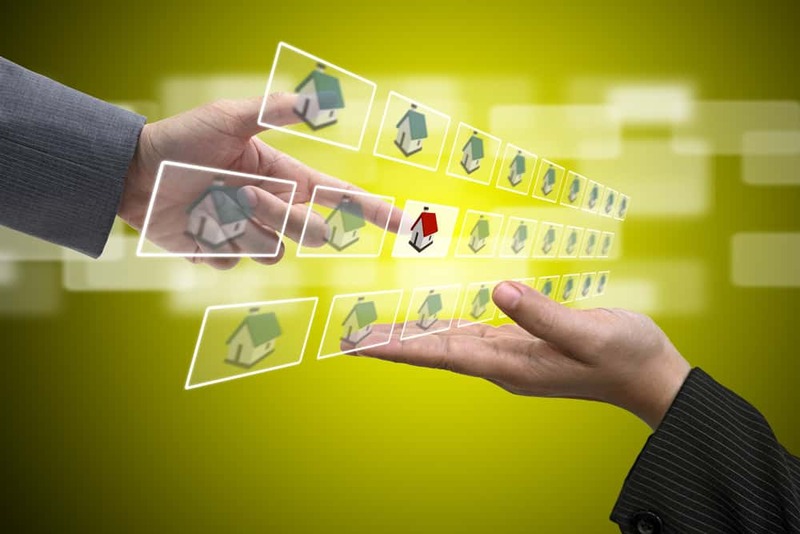 With Jotform, creating real estate lead generating forms is easy. Simply install this free form generator and choose from one of their many form templates or drag and drop fields to quickly create custom real estate lead forms of your choice. The importance of social media marketing for real estate agents cannot be overemphasized, as these platforms allow you to establish online relationships that you can then translate into real world clients. Establish accounts in the major social media platforms, claiming your name and the name of your agency. Launching a coordinated email marketing campaign is a breeze with MailChimp’s innovative account features. Your initial account is free; sophisticated features (some require paid subscription) allow you to compile and maintain customer profiles, add notes and one-to-one conversations to those profiles, design and disseminate marketing campaigns automated scheduled campaigns, track and analyze the success of each individual campaign, and much more. Accounts can grow as your business does, with scaled subscriptions for various email volumes. If you do not already have a basic Google account, you should register for one once your real estate website is up and running. Once you have registered, setup your website in Google’s Analytics, adding the verification and tracking code into your site. Real estate professionals can obtain a wealth of information on their website traffic from Google’s Analytical Tracking tool; it shows where your website traffic is coming from, where it is going, the physical location of people visiting your site, and perhaps most importantly, when and why visitors are leaving your site. Applying this information will allow you to adapt your marketing strategy and make it as effective as possible. Repeat the process you used with Google Analytics to set up Google’s Webmaster Tools for your site, then submit your site’s sitemap to Google. Once you do this, Google will alert you if there are any errors on your site that may affect your search rankings so you can make needed repairs. Google Webmaster will also show you the search terms where your site is currently ranking. Google has a new tool, Google My Business, which helps to ensure that your customers can find out accurate information about your real estate agency, no matter what device they use. Through this one application, all your relevant business information is entered onto Search, Maps and Google+ , and correlated for accuracy. Using your Google account, you can set up Google alerts to keep abreast of current trending terms related to your real estate business. You simply designate particular keywords or search terms and Google will send you an email update whenever they appear. Set alerts for your name and the name of your real agency to monitor your online reputation; your competitions’ names to keep an eye on their efforts; and local real estate search terms such as ‘Miami real estate,’ and ‘Ft. Lauderdale condos for sale’ to ensure you stay apprised of the direction the local real estate market is heading. If you cannot spare the time to set up all the appropriate accounts, the real estate marketing specialists at For Sale Marketing offer complete Internet marketing services. We can create a compelling online presence for real estate agencies and agents, complete with custom real estate website designs, time-tested lead generation forms, an engaging social media presence, and much more. Click here for part 2 of The Top 10 Real Estate Marketing Ideas! Contact For Sale Marketing today at 954-779-2801 for comprehensive real estate marketing services, from establishing your initial online presence to long-term marketing maintenance for continuing real estate success!